Familie Bachmann warmly welcomes you! Das wunderbar gelegene, außergewöhnlich schöne Haus wird in Service und Küche hervorragend geführt. Man wird überaus freundlich und zuvorkommend sowie kompetent betreut. Auch dieses Jahr haben wir unseren Skiurlaub hier beim Strasserwirt restlos genossen! Nette Zimmer, hervorragende Küche und sehr freundliches und bemühtes Personal. Komfortables, sauberes Zimmer und Badezimmer, separates WC war angenehm. Effiziente aber nicht aufdringliche Bedienung und sehr freundliches Personal. Wir bewohnten ein noch nicht renoviertes Zimmer mit Himmelbett, das unseren Ansprüchen allgemein gerecht wurde; meiner Frau störten allerdings mit der Zeit die knarrenden Holzböden. Die Lampen am Nachtkästchen waren zum Lesen nicht geeignet. A heartfelt welcome to the Strasserwirt! 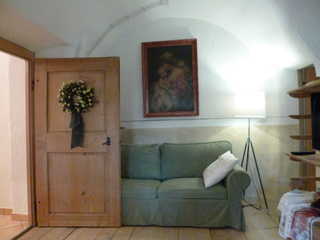 The homey and cozy atmosphere of the traditional castle hotel provides the ideal setting for relaxing winter holidays. Plenty of romantic moments and relaxing hours await you here. 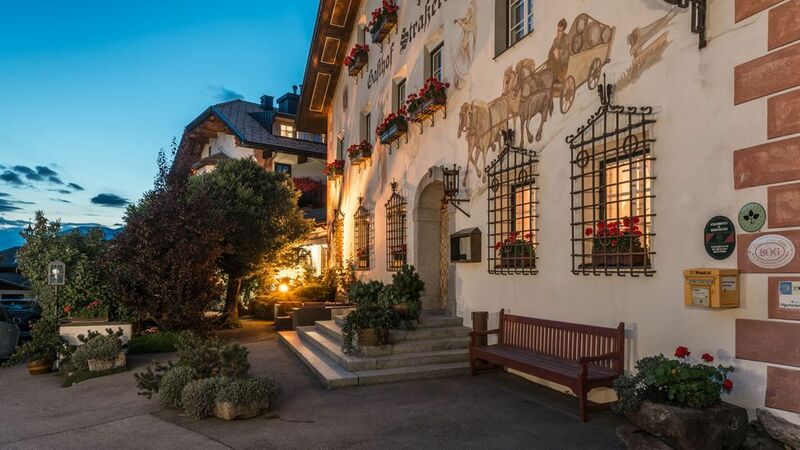 The hotel's ancient walls date back to the 6th century! Treat yourself to a revitalizing cup of tea at the open fireplace while enjoying a nice chat among friends. Where dreams come true! Spend the most beautiful days of the year among friends in a very special ambiance. We aim to meet all your expectations to make your stay as pleasant as possible. Be free of tension and strain, experience yourself with heightened sensibility and enjoy a relaxed feeling within your body - that's what we want to offer you with our great range of massages and body treatments. Our qualified masseurs and body therapists look after your well-being, so that you can meet everyday life again with new energies. Our health treatments include: yin-yang massage, relaxing massage, manual lymphatic drainage, back/neck/face massage, acupuncture massage (according to Penzel), holistic pulse, Dorn Breuss spinal column therapy, brush massage, aroma massage, segment massage, classic sports massage, connective tissue massage, facial harmony rejuvenation. We personally ensure that everything - the equipment in the seminar room, the menu plus corresponding wines, is organized to your liking so that you and your guests can hold a seminar in relaxed atmosphere. FROM ITALY: A22 Verona, Bolzano, Bressanone - Uscita Val Pusteria, Brunico, Dobbiacco, Sillian, Strassen (ca. 260km da Verona) o da Venezia, Vittorio Veneto, Cortina, Dobbiacco, Sillian, Strassen (ca. 220km da Venezia).